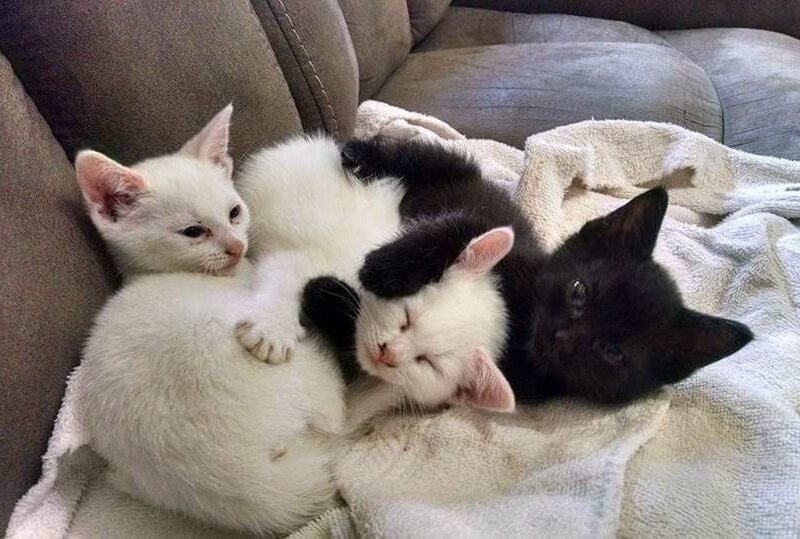 A woman from Connecticut went to adopt two kittens but ended up rescuing their brother too. Samantha St John was grieving the loss of her 13-year-old cat Mickey when she heard about a feral barn cat, who had babies. 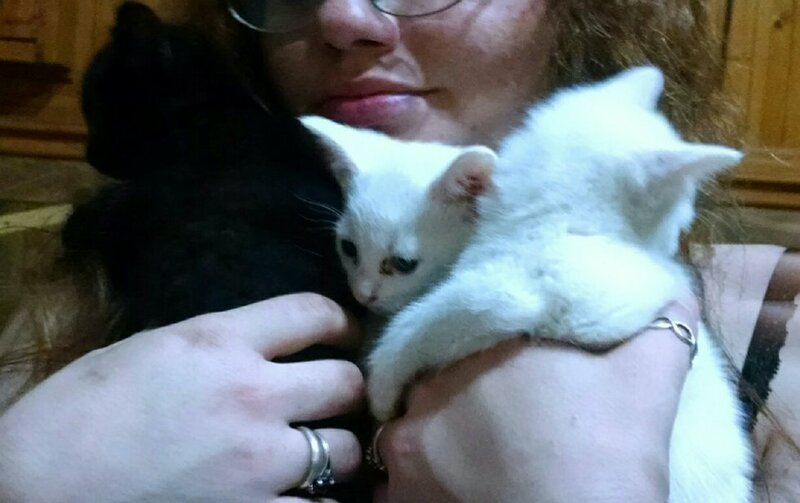 When the owner of the barn told her about two bonded kitten sisters, she immediately offered to adopt them. Later, she found out that there was a third kitten, a boy. “When it turned out the whole litter was three, I said I’d take them all. I could’t leave one behind,” Samantha told Love Meow. Samantha who has had cats all her life, took in the kittens a week later and continued to raise them with love and care. The trio shared a very strong bond. 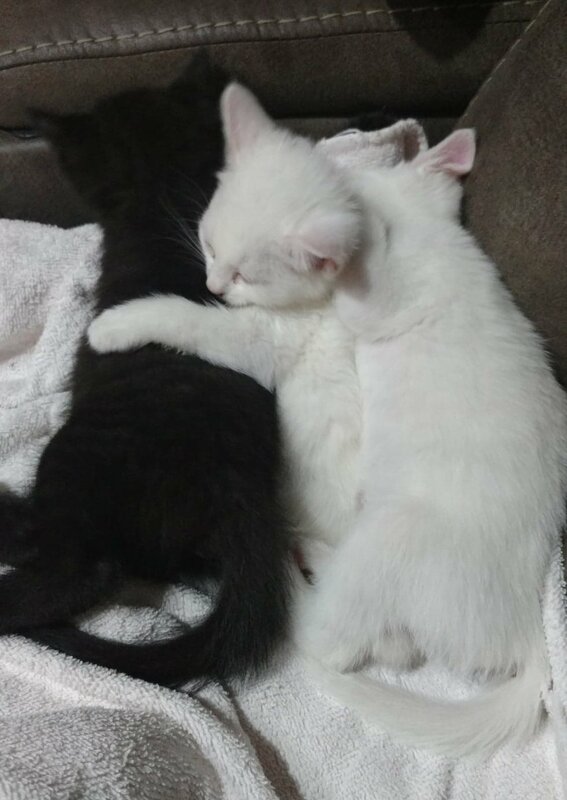 The only brother in the litter clung to his sisters and wouldn’t leave their side. The three were very close and did everything together. 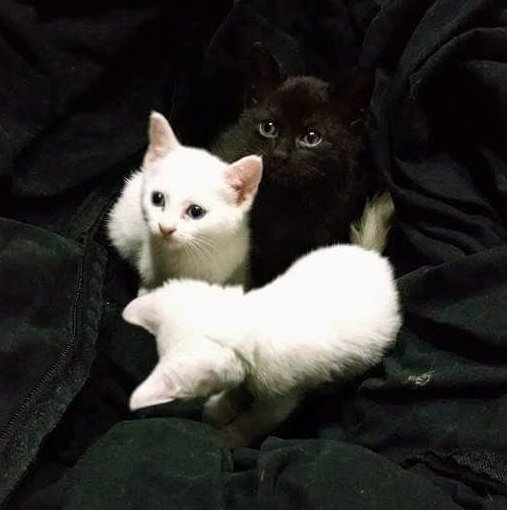 The two sisters (white kittens) are Ella and Daisy and the little boy (black kitten) is Simon. Simon followed his sisters’ lead and together, they began creating all sorts of mischief around the house. 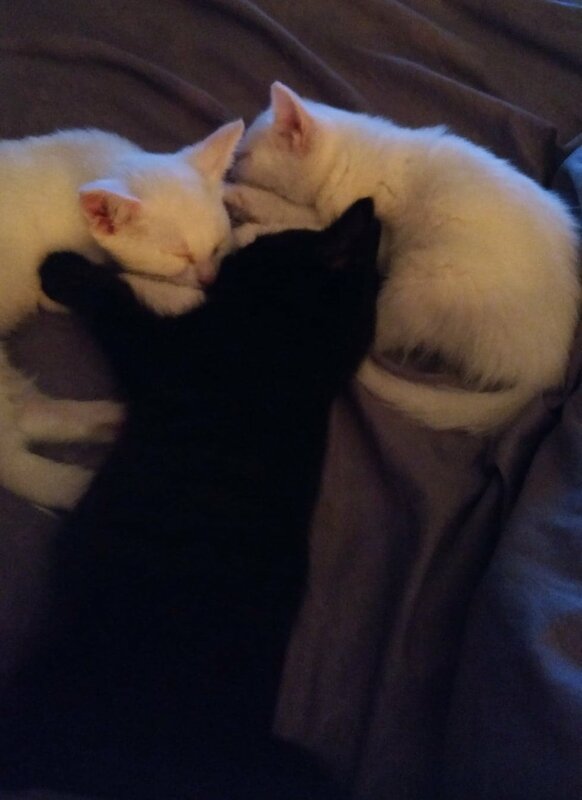 By the end of the day, they always cuddle up together to nap. 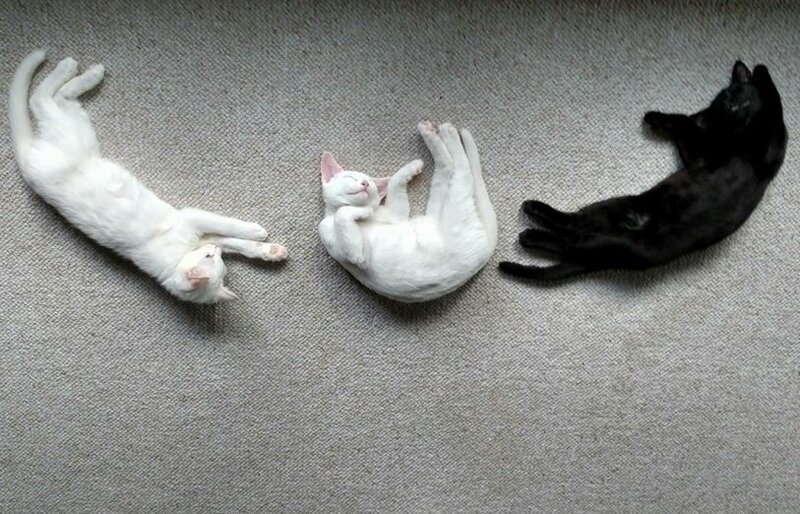 As they grew into adult cats, their bond only became stronger. 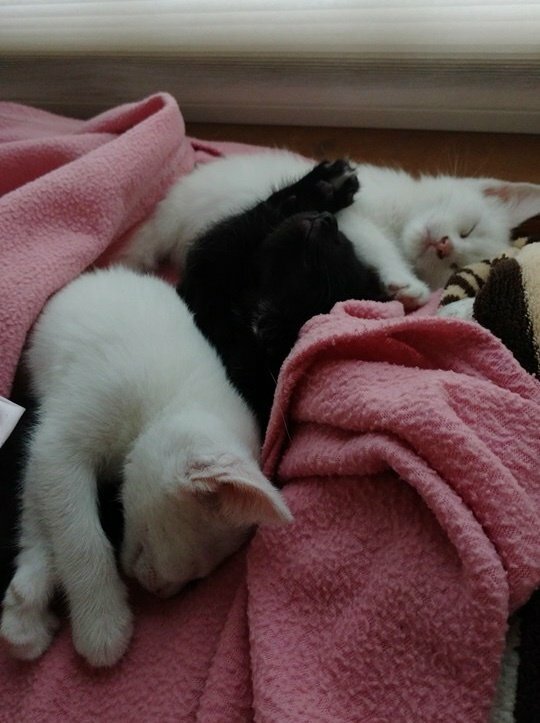 “Today they are happy, healthy, rambunctious kitties. 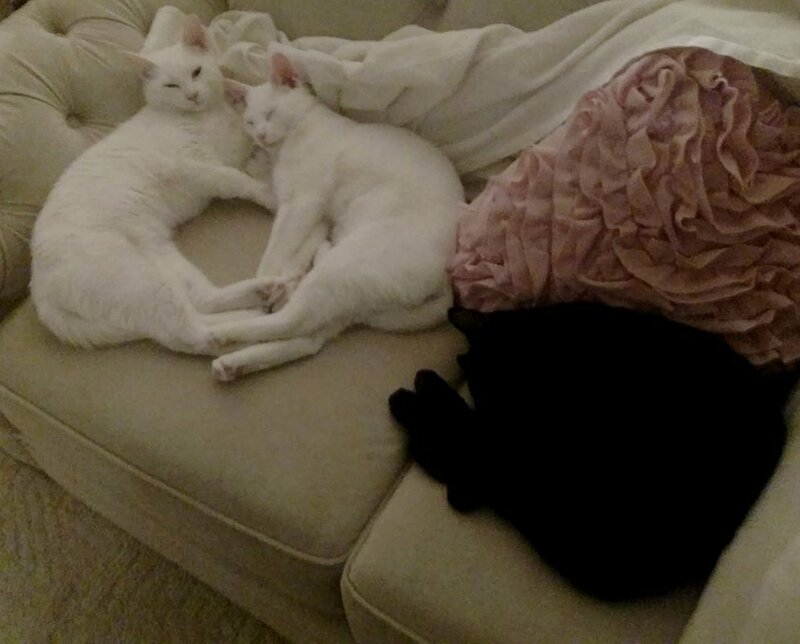 Ella who was originally the runt is a major cuddler with a squeaky voice, Daisy is pretty mellow but a talker, and Simon is the most mischievous but very loving,” Samantha told Love Meow. It’s been two years since they found their forever human, who kept them together.